Winkflash offers the cheapest photo prints online and our 5×7 prints are no exception. Our cheap digital prints and gifts are the way to go when you want to celebrate your fondest photographic remembrances. Just upload your digital images from your phone, tablet, or laptop to get started. When you need discount photo printing with the best results, Winkflash has everything you need in one convenient place! 5×7 prints are a common size, so you will easily be able to find frames to display all your photos. 5×7 pictures are perfect for gifting friends and family and highlighting your favorite memories in photo albums. Choose from matte or glossy photo paper, customize your cropping and order your cheap photo prints online to preserve your memories, year after year. Whether you display your photos in a frame or add them to your album, you can relive your best remembrances with our high quality prints. Winkflash is the cheapest place to print photos and our 5×7 prints are no exception. Order a large quantity to share with family and friends or a batch of prints for your family photo album? We give moms and families the best price and quality for any online photo printing need. 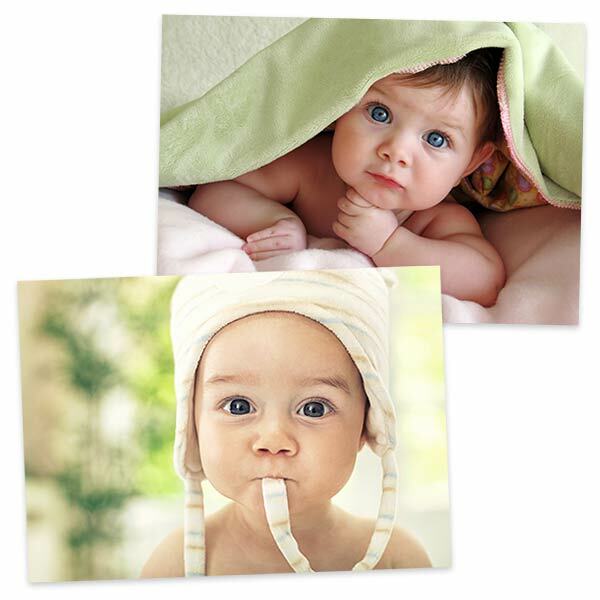 5×7 digital prints are perfect for photo albums when you want to view bigger pictures! So, If you’re looking for cheap photo printing with the highest quality standards, look no further than Winkflash for your 5×7 prints. We use top-grade inks and archival photo papers so your pictures will not fade. Your images can be printed with a matte or glossy finish. For something extra fancy, try our popular Metallic Photo Paper too. Order 5 x 7 photo prints today and have them sent directly to your mailbox! Winkflash offers the widest range of photo print sizes, starting with 4 x 6 and going all the way up to 24×36 Poster Prints. Or, print 8×10 photos that you can frame or add to your favorite album! We have photo print sizes ideal for any project! Be prepared: order a stack of standard 5 x 7 photo reprints to have on hand this holiday season when relatives visit, whether it’s Halloween, Thanksgiving, Christmas, Hanukah or New Year’s. For fun when visiting family and friends, place some of your best family photos on your host’s refrigerator, pin a few images onto a home office bulletin board or scatter several pictures around the dinner table. These are all great conversation starters. Aside from 5 x 7 and larger sized photo reprints, you may want to start thinking about what images would work best when placed on the annual family holiday greeting card. Start early by test ordering a few seasonal photo notecards. Did you know you can get just one photo greeting card and see how it turns out? Prices start at .84 each for a 5 x 7 flat photo card, including the envelope. We offer both Flat Postcard and traditional Folded Holiday Image Cards in sizes 4 x8 and 5 x 7, and we’ve also got those gorgeous shimmering Metallic Photo Print Cards guaranteed to razzle dazzle any recipient. Mailing holiday greeting cards this year? Tuck inside some personal 4 x 6 and 5 x 7 photo reprints! Download our Same Day Photo app and learn how to print pictures from iPhone at Walmart, Target, CVS, Walgreens in about 1 hour! Our app is compatible with all iOS and Android device and is free to download. Just select your picture for printing from your photo library, pick out your sizes and quantities, and place your order. It’s that simple! Enjoy cheap online photo printing now and order stunning 5×7 prints! Save money when you order your next stack of low price photo reprints, framed photo canvas or even a family photo book gift. Sign-up for the Winkflash newsletter to receive notices about discount photo coupons and cheap photo print offers. Be ready for the holiday season. You’ll need lots of prints to share with family and friends. Always get great results with Winkflash!